Boston and Somerville both remain in the running for Amazon's second headquarters, but they face stiff competition. The Boston-area has made Amazon's list of finalists for the online retail behemoth's second headquarters, but more than 20 other prospective sites in New England are out of the mix. The company included the metropolitan area, with potential sites in the city and neighboring Somerville, on its list of 20 finalists for the $5 billion project that is expected to generate up to 50,000 new jobs. Thursday's announcement came after hundreds of communities in North America submitted proposals for the second headquarters project, which was announced in early September 2017 and will be "a full equal" to the Seattle headquarters. New York, Chicago, Austin, Atlanta, Miami, Los Angeles, Philadelphia and Washington, D.C. are among the other major U.S. metropolitan areas selected as finalists in the second headquarters search. Toronto was the only finalist city selected from outside the U.S.
Amazon made clear that qualifying candidate cities would have a metropolitan area of more than a million residents, have top technical talent, be within 45 minutes of an international airport, have direct access to mass transit and be able to expand the headquarters to more than 8 million square feet. Boston officials said in October that their proposal to woo Amazon included showcasing the city's job growth and diversity. "I am proud that Boston is on Amazon's shortlist for its second North American headquarters," Mayor Marty Walsh said Thursday in a statement. "As a thriving city with a talented and diverse workforce, culture of innovation and opportunity for all, I see no better city than Boston for Amazon to call their second home." Suffolk Downs was pitched by the city as its top location for the second headquarters due to the former horse-racing track's proximity to the airport, downtown and the waterfront. Other proposed sites included South Boston waterfront/downtown area, the South End/Back Bay/Roxbury area along Interstate 93, and a site in the Allston/Brighton neighborhoods. Although it did not mention possible tax breaks, Boston's pitch offered an "Amazon Task Force" of city employees working on the company's behalf, including a workforce coordinator to help with the company's employment needs, and a community relations official to assist with conflicts as they pop up. The bid also proposed a $75 million affordable housing creation investment over the next 10 years. Amazon has been criticized in Seattle as a prominent factor for the West Coast city's housing prices, which have risen faster than anywhere else in the U.S., according to the Associated Press. According to a press release announcing the finalists, Amazon said the company will work with each city in the coming months "to dive deeper into their proposals, request additional information, and evaluate the feasibility of a future partnership that can accommodate the company's hiring plans as well as benefit its employees and the local community." A decision on the city that will host the company's second headquarters is expected to come this year. 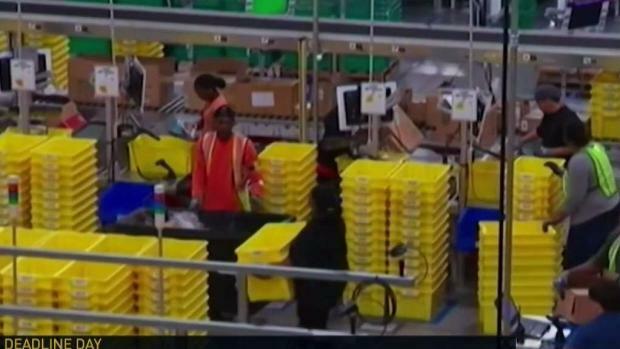 Amazon has several locations in Massachusetts, including Amazon Robotics in North Reading, fulfillment centers in Fall River and Stoughton and offices in Cambridge and Boston's Fort Point area. "Massachusetts put forth a comprehensive proposal that showcased the Commonwealth's global innovation economy, world-class workforce and leading higher education institutions across the state," a spokesperson for Gov. Charlie Baker said in a statement, adding that Baker's administration is "excited to continue working with the cities of Boston and Somerville to expand economic opportunities for the people of Massachusetts." House Speaker Robert DeLeo said he was "proud and excited" to learn that Boston had made the cut. "With a highly educated, technology-friendly workforce, Boston is the perfect place for Amazon to put down roots," he said in a statement, adding that the state Legislature will work with Baker and Walsh to make Boston Amazon's ultimate pick. 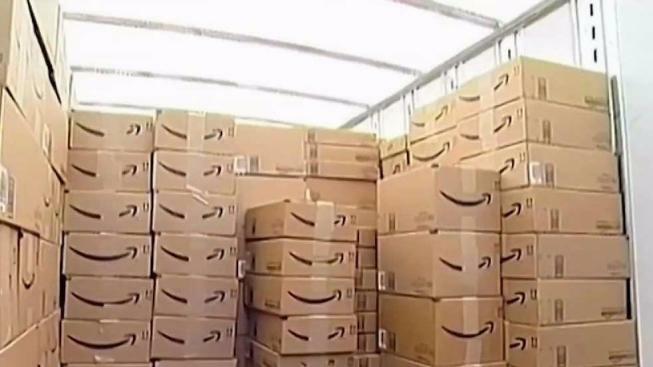 Several other New England communities, including Lawrence, Lowell, New Bedford, Leominster and Worcester in Massachusetts alone, had submitted their own applications in the hopes of attracting Amazon. "Getting from 238 to 20 was very tough," Holly Sullivan of Amazon's public policy department said in a statement, "All the proposals showed tremendous enthusiasm and creativity." Sullivan said communities that weren't selected for the second round in the process will still be considered for "future infrastructure investment." In New Hampshire, where Gov. Chris Sununu wasn't shy about touting the Granite State as having "all the benefits of Boston without the headaches, without the taxes and without the bureaucracy," there was disappointment about the decision. On Thursday, Sununu called the state's Amazon proposal "the most comprehensive business marketing plan" officials had ever produced. "While we always knew that our bid was considered a long shot, we are excited that it is already serving as a template for other businesses that now have New Hampshire on their radar," Sununu said in a statement. "We will never stop emphasizing that New Hampshire is open for business, open for workers, and open for opportunity." In Maine, the two long-shot bids submitted by Brunswick and Scarborough, which relied on New England's charm, afforable real estate and incentives, were also shot down. The Brunswick plan alone proposed about $200 million in incentives.